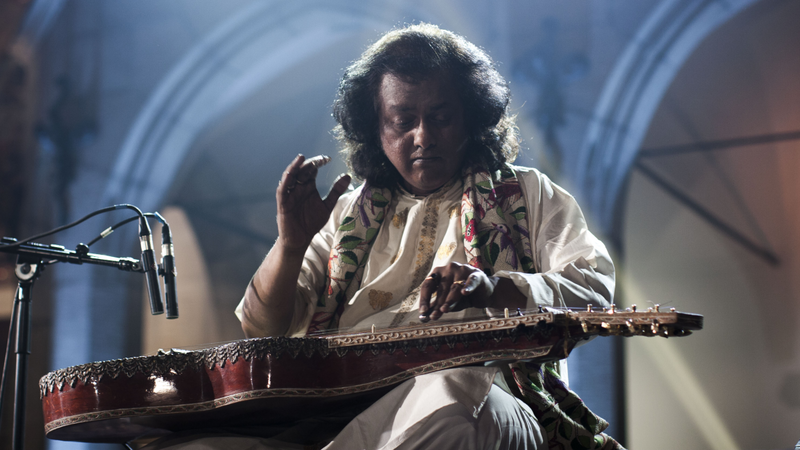 Pandit Debashish Bhattacharya is one of the finest slide-guitar virtuosos in the world. He has been nominated for a Grammy, won the BBC Planet Award and Songline Music Award. The traditional power of Dhrupad, imagination of Khayal and delicacy of Thumri of the past; the polish of intricate Gat-kari of the present and his innovative explorations for the future bring the three-dimensional effect in his multicoloured instrumental music. The beauty of such blend intoxicates his audience the world over. In his own words, " We the musicians, who were born in early sixties, have grown up in a fast changing world. Every thing is quickly built and nothing stays for long. Within last twenty years we have traveled almost two hundred years at a speed that is ten times faster than that of our father's generation. Every generation has its own language and a role model. The spirit behind my work is to build a better present, based on the best of past traditions and rich cultural heritage; and present this in a fashion that is understood by today's generation". Debashish was born in a family of vocalists where the stream of Raga music has flown through generations. With Pandit Ajay Chakraborty as guru, he mastered the finer nuances of Patiala, Gwalior, Jaipur and other schools of Indian vocal tradition. His musical and spiritual training under Pandit Brij Bhushan Kabra, with whom spent ten years, enhanced and nurtured his aesthetic sense. Thus one can easily find a deep relationship between vocal and instrumental styles in his music. His debut at the age of four was broadcast by All India Radio, Calcutta, and was blessed by the late Ustad Karamatullah Khan of Farukhabad Gharana who accompanied him on the Tabla. At twenty he received President of India Award for winning National Music competition of All India Radio. Debashish,when in his thirties, was awarded the Top Grade, the ultimate honour by the Prasar Bharati Ministry of information and Broadcasting of India. His charisma as a Musician, Composer, Innovator, Revolutionary, Guru, and the Director of international slide Guitar Parivar (family) has attracted devotees of music from all the nooks and corners of the world. Debashish's uncanny sense of musical understanding has established him as a recording artiste whose perfect musicality matches all categories of music be it Indian, or any kind of classical, jazz, blues, folk or Nue Music. He is perhaps the only phenomenon in the History of The World Music and Indian Classical Music who created a TRINITY OF SLIDE GUITARS. Christened as CHATURANGUI, GANDHARVI, and ANANDI, these, according to Bob Brozman are "the new arms and ammunitions to fight against ignorance". 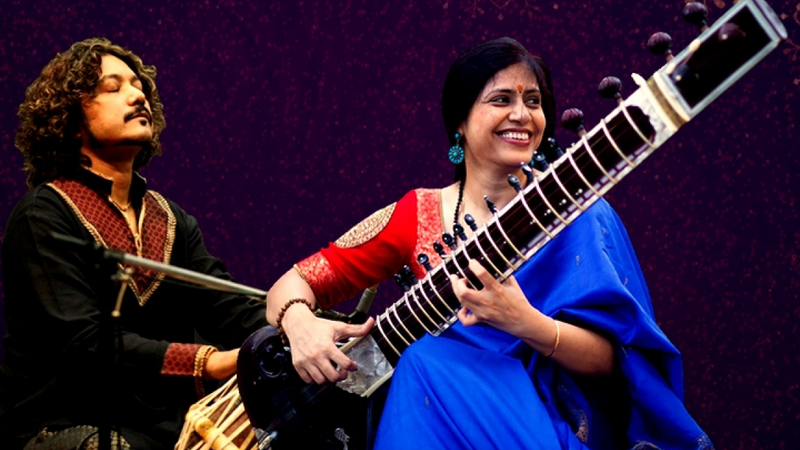 Vineet Vyas is one of Canada’s young and dynamic musical talents. 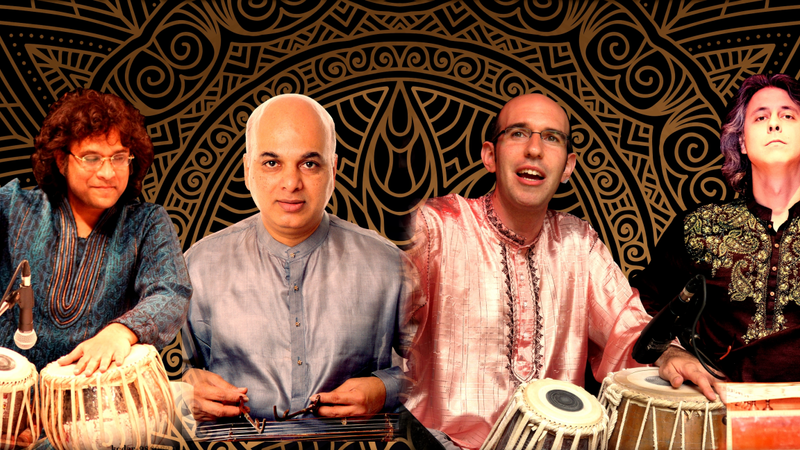 He is a disciple of the legendary Tabla maestro, Pandit Kishan Maharaj. During his performances, audiences worldwide are enthralled as they witness and feel the depth of his musicality, spontaneity, and creativity. Raised in Truro, Nova Scotia, but now based in Toronto and New Delhi, Vineet was born into a family of traditional musicians of India: his grandfather, Pandit Brahmanand Vyas, was a renowned vocalist of New Delhi, and initiated Vineet into North Indian (Hindustani) classical music at the tender age of five. Vineet has been an active performer in the Canadian music scene since the World Exposition 1986, Vancouver, BC. In 1987, he began studying with Pandit Kishan Maharaj in Benares, in the traditional style of Guru-shishya parampara. After intense training and sadhana (dedication) to his guru, Vineet has firmly established himself as an accomplished tabla artist. Nowadays he is a much sought after performer in India, Europe and Canada.